The program of continuing education of dentists includes all forms of postgraduate training which organize at the Faculty of Dentistry independently from the regular postgraduate studies. It includes courses, lectures, meetings of working groups, seminars, individual training, consultations, print, video and computer assisted methods of education as well as other forms of knowledge and information transfer. 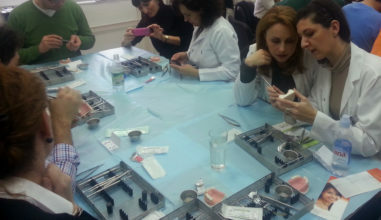 Participants can be dentists and other professionals who perform activities of health care.